The good news in Hawaii these days is that tourism is on the rebound. The bad news is that the days of recession-priced hotel deals are gone. Prepare for some hefty sticker shock when you start searching for hotel rooms here. (And brace yourself because the Governor wants to increase to 11.25% the hotel tax and extend its life a few more years). Although accommodation prices may shake the boomer travel budget, there are plenty of free – and nearly free – fun activities to be found in and near Honolulu once you get here. You can eliminate some of the pricey tour and outing temptations by substituting some of our ‘finds’ for cheap eats, art shows, musical performances and sightseeing. 1. 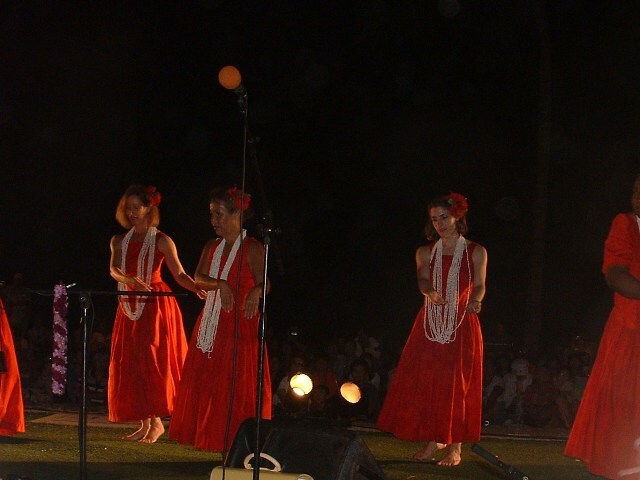 Waikiki’s Free Hula Show – Every Tuesday, Thursday, Saturday and Sunday evening (weather permitting) head to Kuhio Beach near the statue of surfing hero, Duke Kahanomoku on Waikiki’s main drag, Kalakaua Avenue. Don’t forget your camera because the hour-long sunset hula show is one of the best! It gets underway between 6 p.m. and 6:30 p.m. (depending on the season). For information: (808) 843-8002. 2. Just down the street at the Royal Hawaiian Shopping Center, 2201 Kalakaua Ave. (near the historic ‘pink palace’ hotel of the same name) you can for free watch a traditional island sunset torch lighting each evening. The shopping center also hosts a number of cultural activities – all for free – ranging from lei-making demonstrations to musical performances. Schedules are posted in the center’s common areas. 3. Head back into Honolulu’s history by taking a self-guided free tour along Waikiki’s Historic Trail. The route leads from the Diamond Head end of Waikiki to Hilton Hawaiian Village, with detours to Ala Moana and the Hawaiian Convention Center (if you want a long walk). There are 23 historic sites highlighted along the way and at 19 of them you’ll find six-foot tall surf-board shaped markers each with a plaque exploring the history of that place. Tip: before you set out, visit Waikiki Historic Trail. It’s a dynamic document where you’ll find a printable map or simply use it while you are walking and click links to read up on each area. 5. 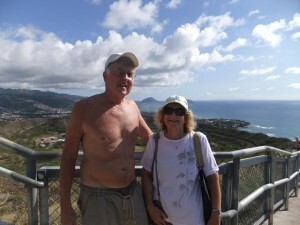 Climb Diamond Head for $1. That’s the entry fee if you walk in and $5 if you drive up to the crater’s parking area. The actual trailhead is only 0.8 miles but you need to be somewhat in shape to tackle it, as it is steep in places, with a number of switchbacks and stairs. (We’ve passed boomers who are doing it while using canes though). The view from the top makes your efforts all worthwhile. Tip: go early in the morning when it is cooler and the crowds are fewer. You can ride the city bus for $2.50 to get to the park’s entry road. If you ride the bus, be aware that you’ll add to your exercise as the trailhead starts some distance away in the crater (where the parking lot, restrooms, and refreshment stand are located). For information: Hawaii State Parks, 808 587-0300. 6. Take a Circle Island Tour for $5 by riding TheBus, Honolulu’s public bus system. It can be done – we’ve done it! At $2.50 per ride, (that includes a free two-hour transfer ticket), there is no cheaper way to get around town. Visit The Bus, and follow the Visitor’s Link where you’ll find a PDF, TheBus Waikiki Guide, a comprehensive list of points of interest, shopping centers, churches and schools and the bus numbers and routes to reach them. (They also offer a four-day visitor pass for $25). 7. For some great, cheap breakfast and lunch eats stop by the Saturday Farmer’s Market on the Kapiolani Community College campus every Saturday from 7:30 a.m. to 11 a.m. It is a walkable distance from Waikiki (if you are in shape). 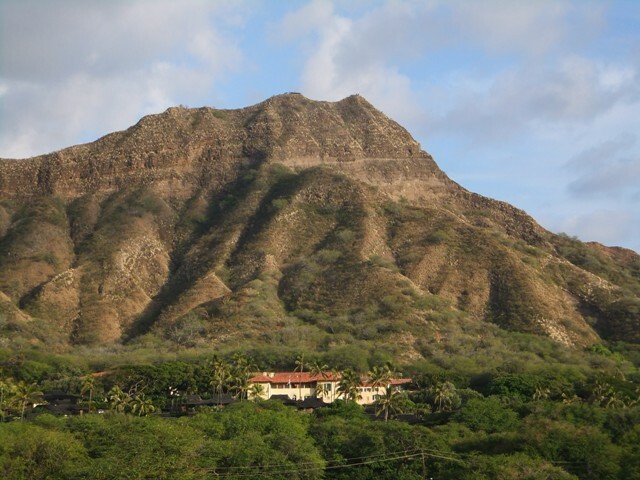 The entrance is off Diamond Head Road and Monsaratt – not far from the Diamond Head park entrance. For information: (808) 848-2074 You can have an inexpensive dinner from one of the many food vendors that step up as part of the Farmer’s Market, every Monday and Friday from 4 p.m. to 9 p.m. held at Kings Village Shopping Center, 131 Kaiulani Ave. (adjacent to the Hyatt Regency in the heart of Waikiki). Jackie Smith and her husband, Joel, spend nearly five months a year living out of their suitcases – one month each year is spent in Hawaii. 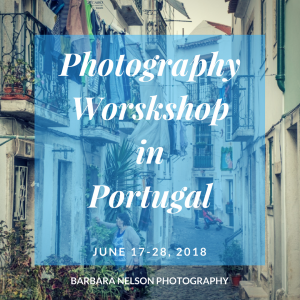 They offer tips and tales about people and places they’ve experienced in their travels on their blog, TravelnWrite.